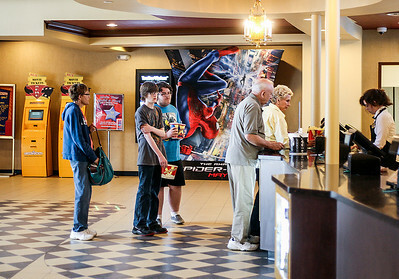 Sarah Nader- snader@shawmedia.com Patrons stand in line for popcorn and treats at the newly renovated concession stand at Classic Cinemas Woodstock Theater Saturday, May 10, 2014. 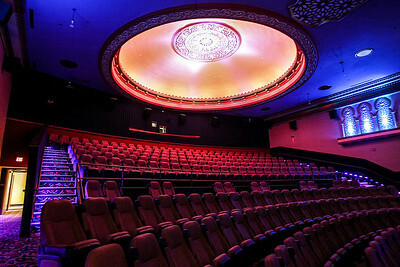 Sarah Nader- snader@shawmedia.com Employee Jenny Ventouras hands a bucket of popcorn to a customer while working at the newly renovated and expanded Classic Cinemas Woodstock Theater Saturday, May 10, 2014. 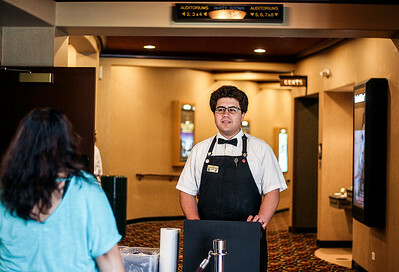 Sarah Nader- snader@shawmedia.com Employee Daniel Jimenez takes patrons movies tickets while working at the newly renovated and expanded Classic Cinemas Woodstock Theater Saturday, May 10, 2014. 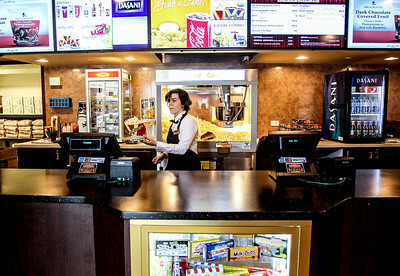 Employee Jenny Ventouras hands a bucket of popcorn to a customer while working at the newly renovated and expanded Classic Cinemas Woodstock Theater Saturday, May 10, 2014.